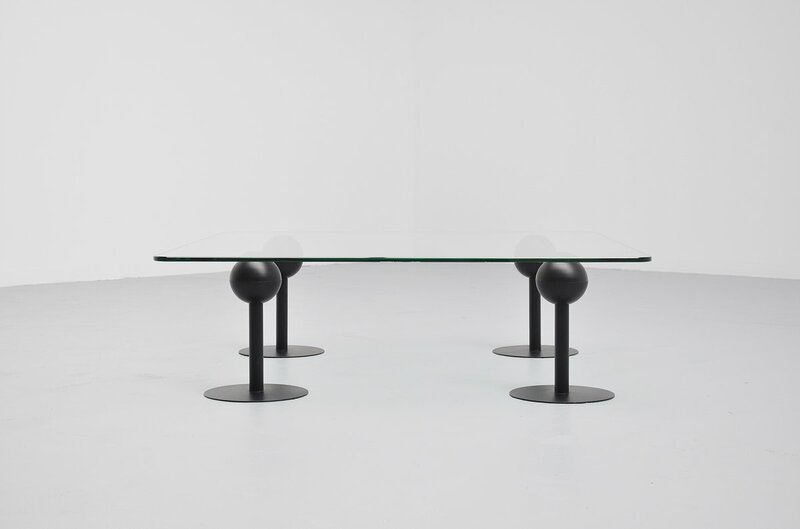 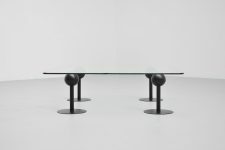 Rare coffee table, designed by Philippe Starck in 1982 for Les trois suisses. 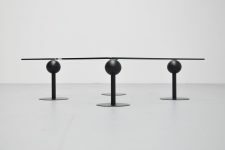 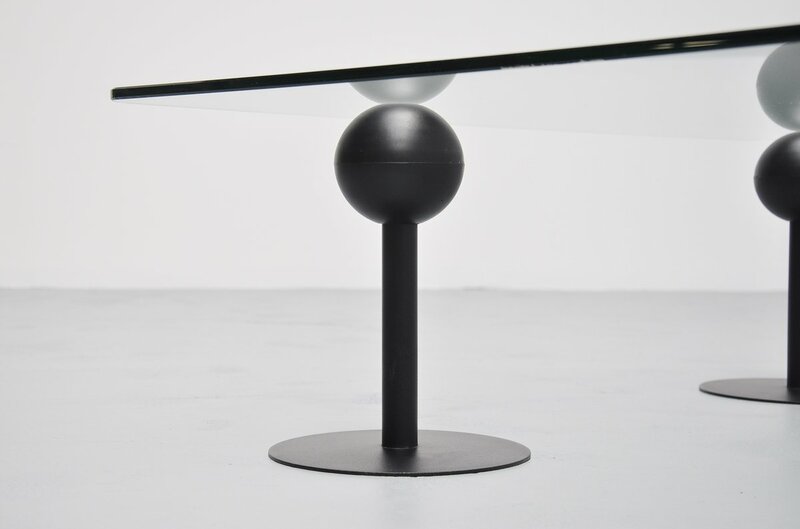 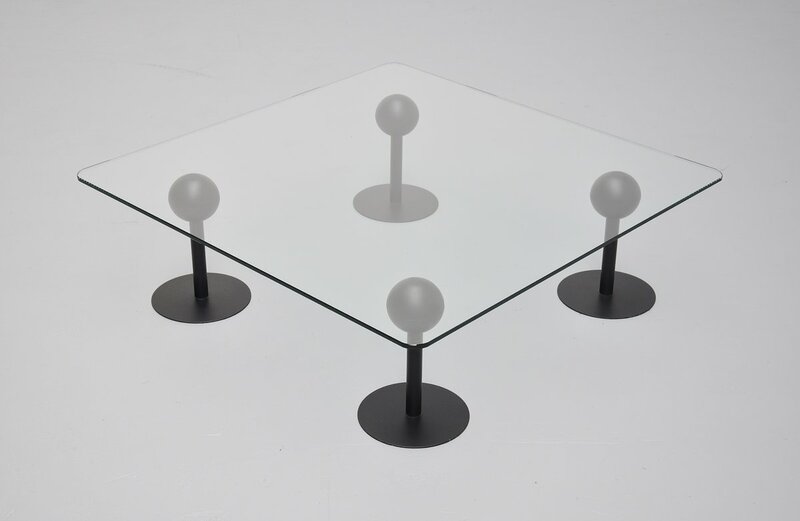 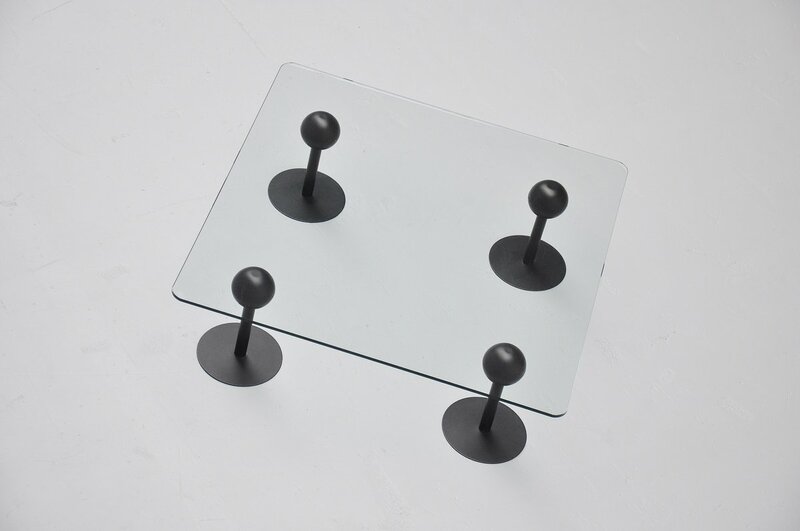 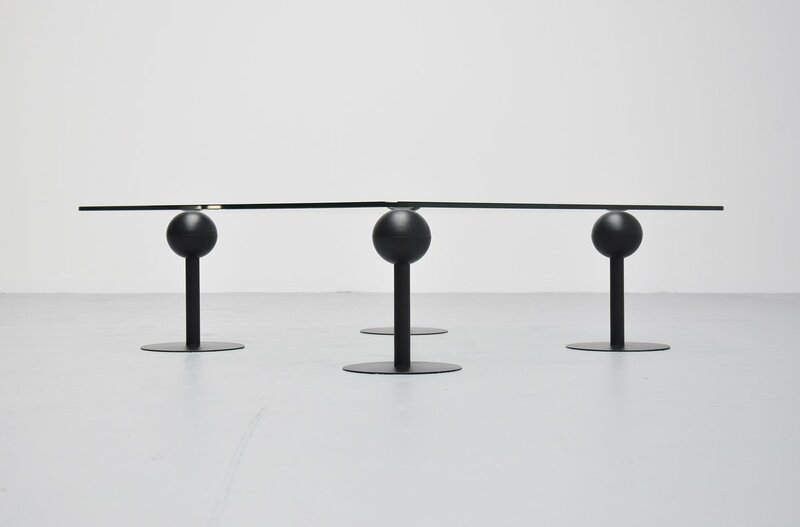 This tabled was made of 4 black metal bases with rubber ball ends and a square glass top. 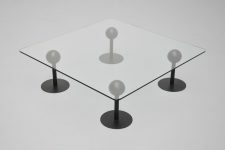 Normally you see this table with 3 feet, this is exceptionnal with 4. 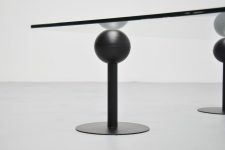 Table is super rare and its in very good condition. 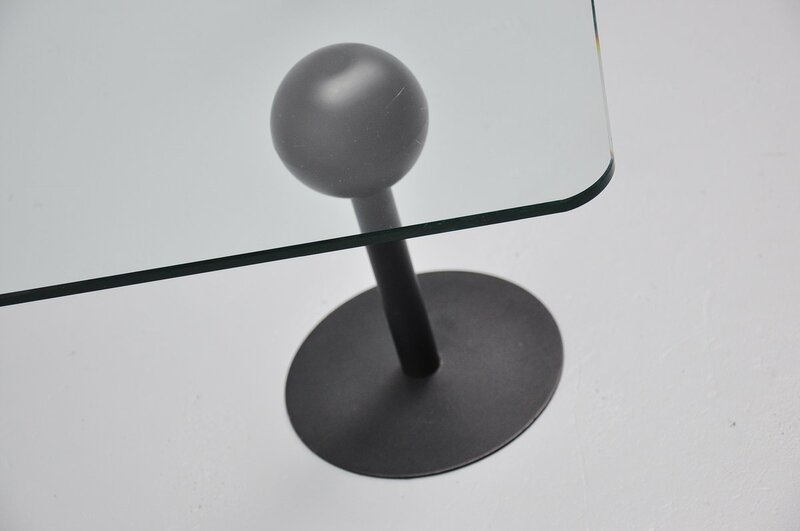 Glass is undamaged, only very slight surface scratching but really minimal.